GETUP-EXPOSED. Who are they? - Rite-ON! Are they independent, unaligned and grassroots, as they claim? Get-Up! Is a highly successful left-wing political pressure group. Employees (its payroll apparently is $4.6 million per year) are highly talented campaign writers who use the psychology of storytelling to create an emotional imperative in its supporters to act by “chipping in” cash, writing letters, sending emails, attending polling booths, demonstrating etc. 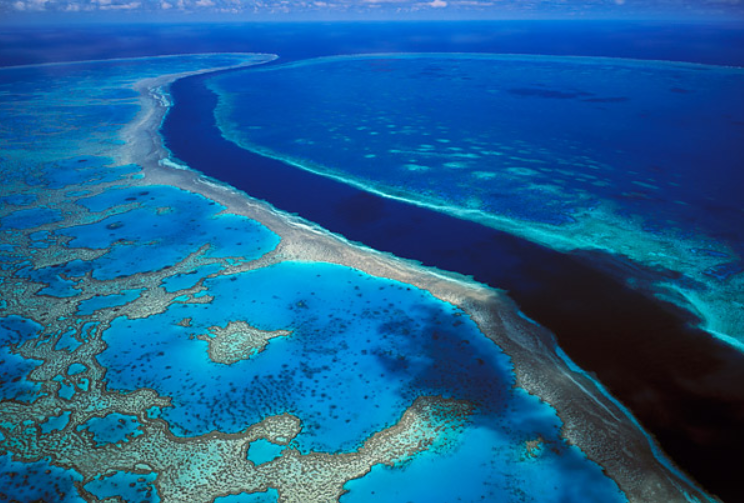 Almost without fail, we suggest, that actions are directly or indirectly designed to boost the fortunes of Labor and the Greens and to damage the conservative or right-wing parties. Is this correct? We are on a discovery mission! This is what we have uncovered so far! Get-Up was originally created 15 years ago by left wing co-founders Jeremy Heiman and David Madden, who also started Win- Back – Respect, MoveOn and Avaaz. Some of their manipulation techniques (e.g. “storytelling”) come directly from Heiman’s Democrat-funded progressive group “Purpose”. 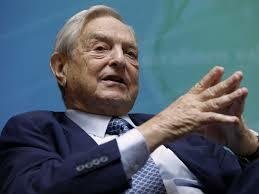 Who is George Soros – reported to be GetUp’s major donor? Some of these socialist political causes appear to include ‘open borders across the Western world, climate change solutions often “taking money from poor people in rich countries to give to rich people in poor countries”, a One World Government and Police Force, Renewable Energy to replace all fossil fuels, an Emission Trading Scheme (ETS) , Carbon Tax, Planned Parenthood (abortion), Vegetation Management and food production controls , to name but a few. To some, these causes resonate as bringing fairness and equity to man-kind, saving the planet and promoting worldwide peace, but to others who have lived under a Socialist Regime, they are truly frightening. Our regulated electoral system- apparently doesn’t regulate GetUp! 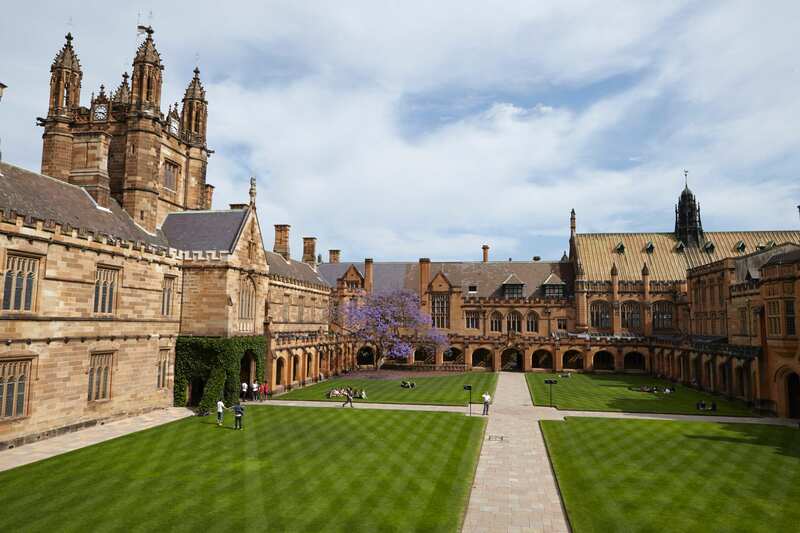 Australia’s electoral system has numerous political parties across a broad spectrum that participate in elections under a political process. Parties and candidates must comply with strict regulations to participate. This is important because they are in the business of affecting electoral outcomes. 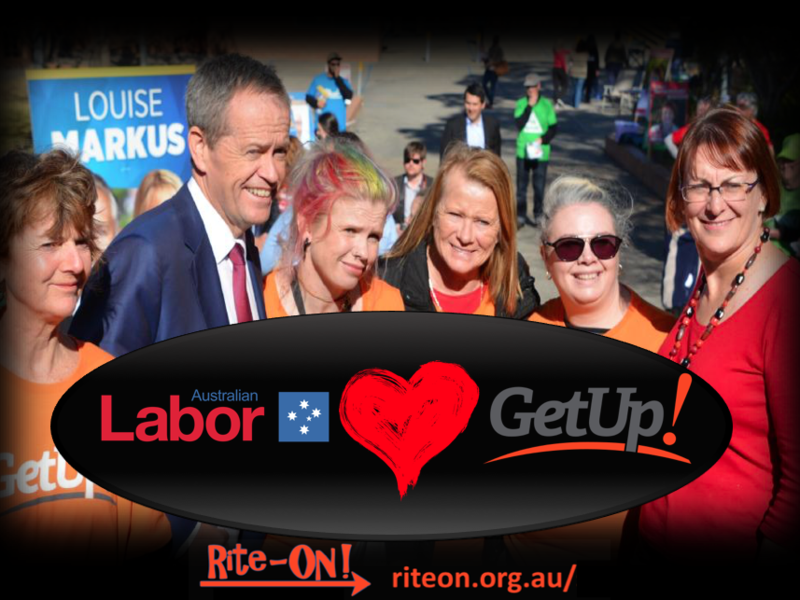 Then we have GetUp – a political-activist group, that receives money from a socialist billionaire and various other affiliated overseas organizations. GetUp also participates in elections to affect outcomes in significant ways, but GetUp are apparently exempt from any such requirements or restrictions! 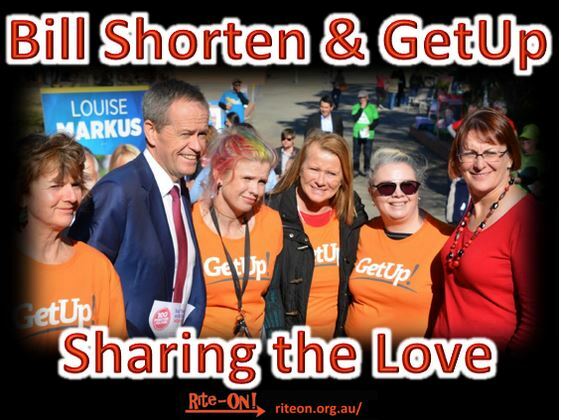 How does GetUp stir people into action? 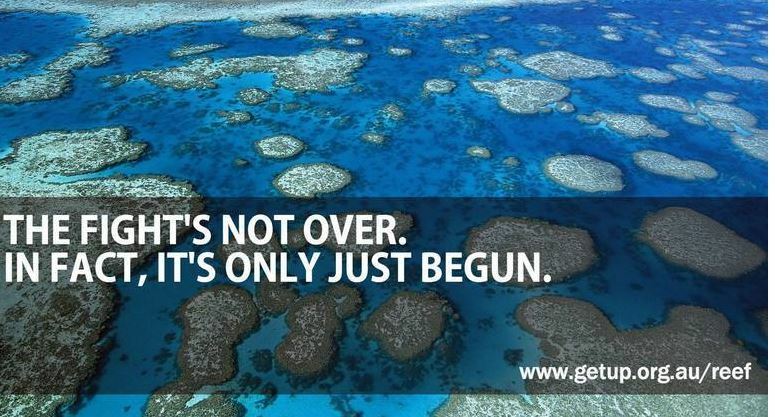 GetUp appear to be masters in the psychology of storytelling to create an emotional imperative. 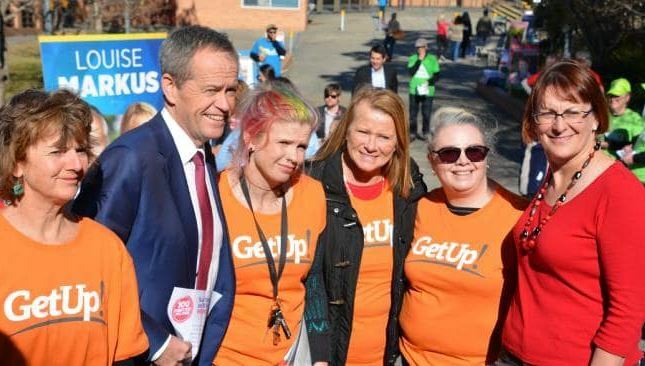 Many well-meaning Aussie Mums and Dads will act and ‘chip in money’ to fund GetUp’s voracious appetite for campaigning and electioneering. They will support ‘genuine and worthy’ campaigns, but many could be unaware these campaigns are predominantly aimed at damaging the conservative side of Australian politics and big corporations. Cleverly written, with all the components of a good yarn and clever story-telling they offer personal engagement and a feel-good-factor to people who otherwise would not participate in politics. Who wouldn’t get convinced to be part of a campaign that delivered fairness and justice for all? “Save Medicare, save the reef, stop closing public hospitals and Australian schools” they yell. But are these just manufactured enemies and confected situations? But, if their (GetUp’s) supporters looked at the evidence we have uncovered so far, would they still support GetUp? 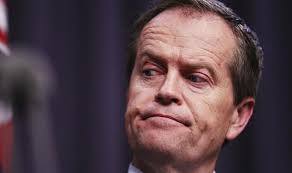 Would they support an organization if they were aware their efforts and donations could be undermining Australia’s democracy, and more importantly, assisting to install a progressive-left, Labor, socialist government? Remember the furore over the alleged Russian intervention in the US Election of President Donald Trump? Would supporters of GetUp, support similar overseas intervention in Australian politics if they were aware? 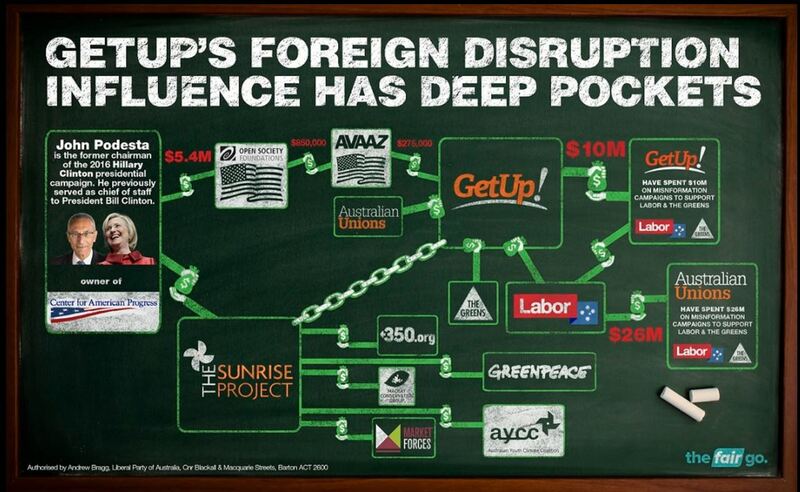 “The proposed crackdown on foreign donations would wipe us out” GetUp! moans. Apparently, significant overseas foreign donations have flowed into GetUp, which could explain their concern over proposed legislation coming before the Senate. GetUp says they are funded by Aussie Mums and Dads, but their concerns about foreign donations would suggest otherwise. This could call into question their claims they are funded primarily by Australian Mums and Dads! Some interesting players in the field of overseas foreign interference through the ‘GetUp-Gateway’ have so far been discovered. A combination of national and international players appears to be linked to the organization, challenging their claims of ‘independence’! Open Societies Foundation, Avaaz, Australian Trade Unions, 350.org, The Sunrise Project, Mackay Conservation Group, Greenpeace, Australian Youth Climate Coalition, The Labor Party, The Greens Party, Market Forces and the Center for American Progress, have all been identified in our research. Missing from this list are political parties, industries and corporations from the conservative side of politics. · Market Forces – Global organization. Fossil fuel opponents. Renewables supporters. Is GetUp independent and without foreign influence? We leave you to draw your own conclusions. Perhaps your money and support would be better placed elsewhere? In our next report, we will examine in more detail, the real sources of funding for GetUp! Until then, please share this article and memes across Social Media. References: Note: Some links require subscriptions. next post: KIDS of Nauru – what about our own homeless kids?